Friends and family more commonly ask, “Where are you?” than “How are you?” these days, based on my Instagram posts. I thought maybe it’s time I share what I’ve been up to over the past few months, as well as what’s ahead. I arrived back in Noosa two days ago, after spending four days in Canberra and three in Melbourne. I didn’t know how far south I was going to be when I booked my flights; I booked the Gold Coast which meant I had to drive 3.5 hours prior to departure, then back again afterwards. Before my trip to Melbourne, I felt foot-loose and fancy free, so I gave myself a day to explore a few spots along the coast. I stopped in at King’s Beach and South Bank in Brissy for a little looky loo and sight-seeing. At this very moment I’m laying down on my king-single size bed (except it’s a little shorter in length) in the van, my laptop screen surrounded by darkness. I would usually have dewy fairy lights on for ambiance, but one wire snapped last week, causing mayhem across the circuit. My left foot is itchy because a mozzie bit me while I was packing clean dinnerware into the back slide-out cupboard. My van is parked in the yard of a family I now consider myself part of. We live two streets back from Sunrise Beach in Noosa. I still can’t believe how I met them and how things have worked out so perfectly. Prior to my arrival, I joined a Facebook group called Noosa Community Notices or something like that. I posted an ad, I guess you’d call it, asking whether anyone would let me park my van in their yard and use their bathroom for a small amount of rent. My new family offered within a few hours, and have since invited me into their home and lives with open arms. Last night I took the 12-year-old to her dance rehearsals, and the night before that, taught the 7-year-old how to play scrabble. It’s as though I haven’t been working for a while now, given I only commit time to things that I really enjoy doing. If that’s too abstract for some people to comprehend, let’s say I “work” about 15 hours a week, if money is your preferred measuring stick. The rest of my time gets divvyed up into helping others and doing things that make me happy; sometimes the line between those things blur. I usually write poems, songs or nonsense, or produce some sort of art daily; most of which I erase or store away. I talk to people in passing without worrying about where else I could or should be. I only skip the beach on days when the rain is heavy; most times I take a dip and get my hair wet and sandy. Lately I’ve been parking the van in public places while I make lunch, which tends to intrigue those passing by. 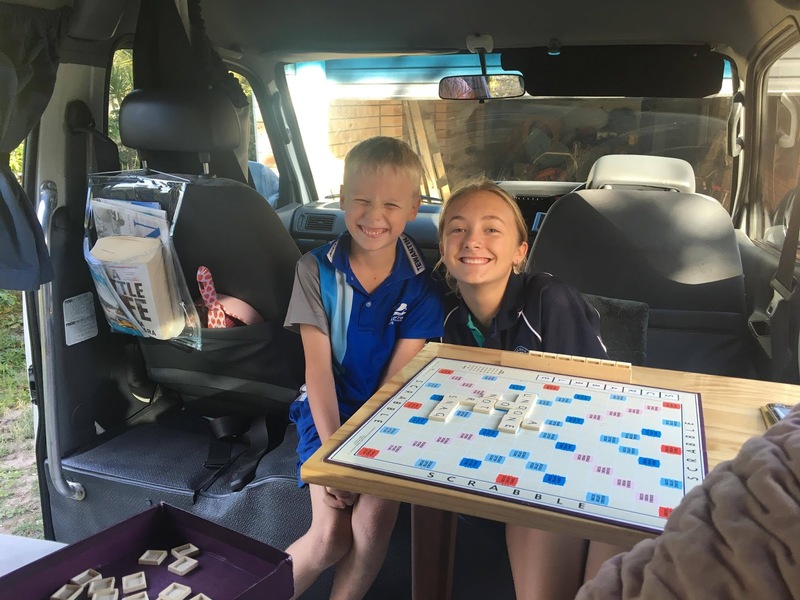 I have given countless “tours” of my van to young and old couples who are keen to begin their own on-road adventure. I’m getting used to hearing how “unusual” it is for a girl to travel the country on her own. Majority of those 15 hours of “work” I mentioned are contracted out to me, based on my experience as an educator and writer. Over the past few months, I’ve worked on projects such as developing e-learning modules and units for schools and global online communities, facilitating workshops to educate teachers and students, working with young people to understand their needs and acting as an education consultant for various organisations and departments. When I know I’m going to stay put for a while I approach local schools to work as a casual teacher, or offer to run my creative writing workshop with primary students. I really mean it when I say no two days are the same; one day I’m designing the graphics for a community garden’s road sign, and the next I’m reading words off a Teleprompter for an educational video. I’m happy and healthy. I’m slowly learning how to be less critical of myself and others. I see the value in reserving lots of time to let my instinctive creativity leak out. Without needing to tend to house cleaning, gardening, sorting mail and bills, and all those other mundane tasks that come with permanent residency, I have a lot of spare time to just “be,” and base my decisions on how I feel in the moment. “Oh, how lucky you are,” I can imagine some of you saying right now. What you probably don’t realise is you can have a similar life if you’re prepared to give up most of the things you currently have; secure housing, a sense of belonging, things, so many things, community groups, a regular income…the list goes on. I’ve worked out how to live without those things for now, but it’s certainly not a life for everyone. 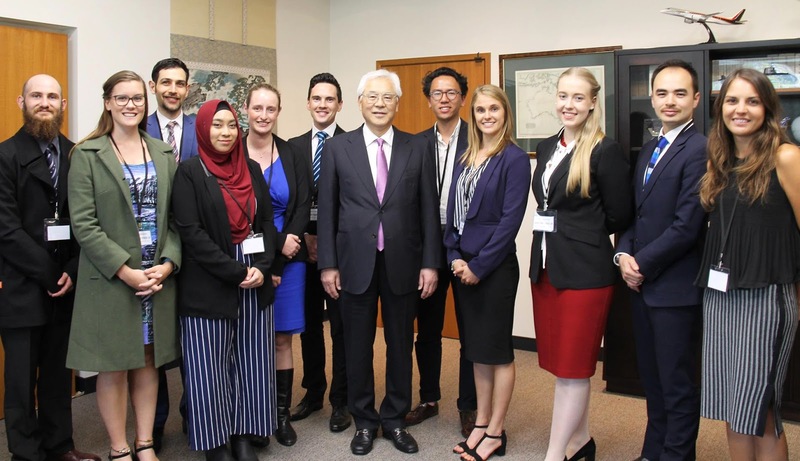 I was recently in Canberra to meet a group of “youth leaders” like myself who were selected to participate in an intensive cross-cultural program funded by the Japanese government, starting January 2018. We will arrive in Tokyo on the 17th and board an ocean liner sailing to Sri Lanka, making brief stops in Singapore and India. There will be 240 participants between ages 18-30 from countries such as Peru, Mexico, Mozambique, Poland and South Africa. Over 6-weeks we will learn about each other’s culture and perspectives on global issues. When I return to Australia at the beginning of March, I plan to pick up where I left off with the van, which will be awaiting my return in Melbourne. I’ve learned not to plan too far ahead because I’m forever changing my mind, but I’d really like to spend the remainder of the year driving through the centre of Australia and back down the west coast, to arrive back in Melbourne for Christmas 2018. Next week I’ll be back in Melbourne for another short stint of “work.” Come mid-December I’d say I’ll be lingering around Byron. On December 30th I will be clinking glasses with the fam in Coffs Harbour, as my big bro will be marrying his girlfriend of 12 years (or some other big number that makes people question why they’re not already married). PS. I know lots of you read this because I see the stats. Don’t go through the whole rigmarole asking the questions I’ve just answered next time me meet because you don’t want to admit you read my posts. Be real. Let’s get deep and talk about how you’d answer these same questions if you were given 1000 words.